With the inauguration next week of the first direct high-speed rail service between London and Amsterdam, Ricardo is proud to have played its part in the certification of the new Siemens ‘Velaro e320’ trainsets on which the new route – and other improved Eurostar services – will be based. Experts from Ricardo’s Utrecht office performed the national certification of the Siemens ‘Velaro e320’ trainsets for the route in the Netherlands. Ricardo Certification was appointed as Designated Body in 2012 and supported the project through to the conclusion of assurance testing in 2017. The team was also responsible for the vehicle’s testing on the Dutch conventional and high-speed network, including the vehicle’s automatic train protection safety system, train detection system, and components such as the vehicle’s pantograph units. The e320 model - capable of speeds of up to 320kmh (200mph) – was specifically designed to be compatible with the entire European high-speed rail network and already operates between London, Paris and Brussels. The use of these new vehicles means that trains will be able to run direct from London to Amsterdam in around three hours and 40 minutes, offering a competitive alternative to the air route between the two cities which, with over four million passengers a year, is one of Europe’s busiest. 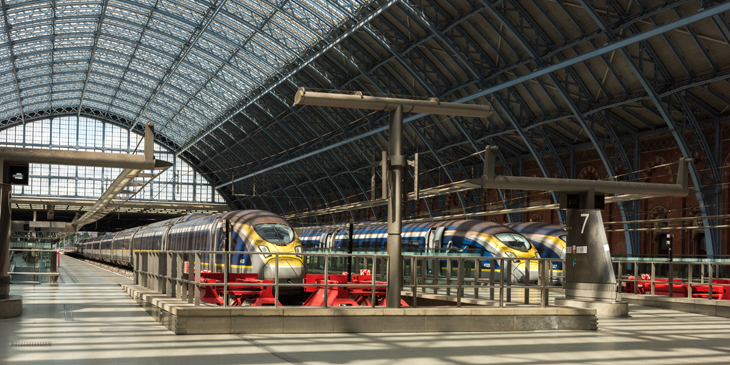 The fastest London to Brussels journey times will also be reduced to just 1h 48 min. Ricardo Certification operates as a separate and entirely independent business within the Ricardo group and is accredited by relevant regulatory authorities to provide assurance services to the rail industry. It is accredited and appointed in multiple regions against the requirements of EN17065 and EN17020.